Luxaflex® Vertical Blinds have been setting the trend in reinvigorating this classic, highly functional blind. The result? Vertical Blinds are now quite literally “gallery quality” suitable for any room or situation. 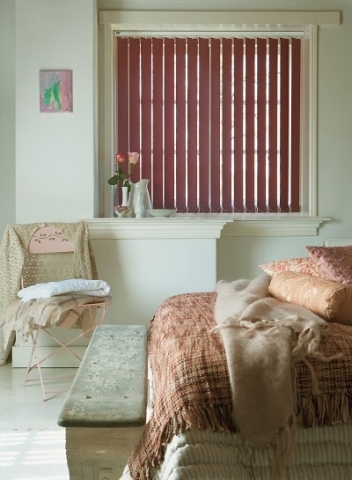 There is a Luxaflex® Vertical Blind certain to match your home and style. 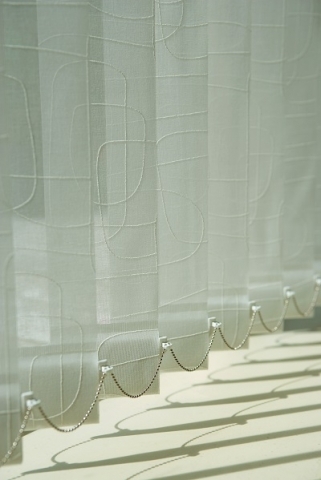 Vertical blinds, like roller blinds can be inside or outside the window recess. Vertical blinds involve a horizontal top unit which is attached above the window below which vertical blind slats / louvres / vanes hang down. A wand at the side of the vertical blinds allows the slats to be angled through 180 degrees so that they can be totally open or closed, or angled anywhere in between. 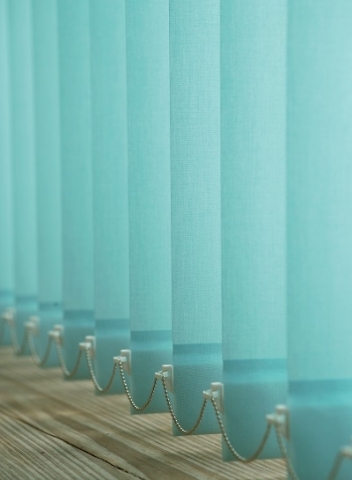 Vertical blinds are a completely flexible option because they offer the perfect levels of light control and privacy.